Italy and France: Used to be friends… or is it suddenly not so? Many viewed this scandal between Italy and France as a manifestation of Italy’s domestic political struggle. Most French and Italian media outlets rightly note that, for Luigi Di Maio, the French card is an attempt to restore the falling ratings of the Five Star Movement. And this is certainly the case, because the Movement’s leader is noticeably behind Deputy Prime Minister Matteo Salvini and Prime Minister Giuseppe Conte in popularity. 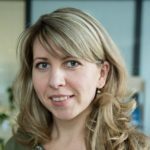 Besides, elections to the European Parliament will be held in the spring of 2019, and all parties have become conspicuously more active as they embarked on their electoral campaigns. However, it is necessary to understand that Di Maio’s attempt would certainly have been doomed to failure had relations between the two countries not been deteriorating over nearly a decade, and had the Italian public not been increasingly inclined to see France as Italy’s chief enemy within the EU. The latest polls show that 38 per cent of Italians believe that France is the country most hostile to Italy within the EU (in 2017, this figure was only 13 per cent), and this is the highest “anti-rating” among all EU countries. What clouds relations between the two EU founding member states? And can these contradictions be a risk factor for the entire EU? The conflict was yet another link in the long chain of the Italy–France confrontation that started back in the time of Nicolas Sarkozy and Silvio Berlusconi. Back then, in 2011, the Prime Minister of Italy was furious that the President of France had ordered the bombing of Libya having barely waited for approval from other heads of state. Muammar Gaddafi was a close friend of Silvio Berlusconi’s and an important shareholder in Italy’s Finmeccanica and Unicredit bank. He had also purchased a share in Italy’s Eni and at one time was an owner of Juventus. Italy was the largest buyer of Libyan oil and its principal foreign trade partner after the sanctions had been lifted. Gaddafi certainly helped contain the flows of migrants traveling to Italy via Libya. In exchange, Berlusconi channelled tremendous efforts into making Muammar Gaddafi, formerly the “mad dog of the Middle East,” “acceptable” or “handshakeable,” in the United States and Europe once Gaddafi had abandoned his support for terrorism and nuclear weapons. Both Eni and Finmeccanica had major energy, infrastructure and engineering projects in Libya. Yet even back then, France’s Dassault and Total were competing with Italian companies. With the launch of the French bombing, the overthrow of Gaddafi and the subsequent civil war in Libya, Italy found it far harder to protect its economic interests, while the flow of migrants arriving on Italian shores grew manifold. It was also way back in 2011 that the economic confrontation between Italy and France exacerbated. At that time, Italy was going through an acute phase of its sovereign debt crisis provoked by the situation in Greece. The spread was 500 basis points, and the Central Bank of Europe was urgently buying up Italian sovereign bonds to save the country from bankruptcy. It was then that the duumvirate of France and Germany represented by Nicolas Sarkozy and Angela Merkel put unprecedented pressure on Silvio Berlusconi to force him to institute austerity measures. At the same time, then President of the European Central Bank Jean-Claude Trichet of France sent a letter to the Italian cabinet demanding a series of economic reforms. Since then, the complex of a country with “infringed sovereignty,” one that is in receivership, has become firmly entrenched in the mind of the Italian public. Italy and France are still trying to compete in Libya today, conducting a “war of conferences.” In 2012, Italy backed Libya’s new government in Tripoli. The Government of National Accord headed by Fayez al-Sarraj was formed in December 2015 with Rome’s active support. A new agreement on migration was concluded. Conversely, France, while having officially voiced its support for the Government of National Accord, is also closely interacting with Libya’s Marshal Haftar. However, both France and Italy today have the same principal objective, which is to posit themselves as an important regional player by acting as an intermediary in the process of Libyan reconciliation and reap the corresponding economic dividends. In order to emerge as the principal negotiating venue, both France and Italy convened high-profile international conferences on Libya: the French conference was held in Paris in the spring of 2018, with the Italians following suit by holding their own event in Palermo the following November. However, neither side has achieved any significant results thus far. In addition to rivalling Italy in Libya, France also attempts to assume leadership in shaping the EU’s foreign policy in Africa. For instance, back in September 2017 in his “Initiative for Europe” speech, Emmanuel Macron said that Africa and the Mediterranean are key priorities for EU foreign policy, since it is the EU’s immediate neighbour region that creates the principal challenges for the Union, primarily in migration. Therefore, the EU needs a well-developed African strategy that could advance the region’s development. Naturally, France said it was ready to lead the way in terms of shaping and implementing such a strategy. Considered in this context, Luigi Di Maio’s accusations sound like a deliberate “undermining of France’s authority” as the leader of the EU’s African policy. Making his statement about the African currency, Luigi Di Maio added fuel to the fire of contradictions that have been brewing in the relations between France and its former colonies for years. Initially, the CFA franc’s exchange rate was firmly pegged to the French franc. When the euro was introduced, the CFA franc was pegged to the euro. In exchange for France guaranteeing the convertibility of the CFA franc, these countries agreed to place 65 per cent of their foreign exchange reserves into a special account in the French treasury. The former metropolitan country was granted the power of veto in monetary policies of the Franc Zone countries should the account be overdrawn. Some countries using the CFA franc do, indeed, think that the CFA franc is still used to maintain the French neo-colonial system that exploits the resources of the region’s countries, slows down growth and forces young people to emigrate, risking their lives in the process. However, proponents of the CFA franc believe it is a factor of stability that spared 14 African countries high inflation and parallel markets, which is what happened to Zimbabwe, for instance. Therefore, Italy’s efforts in Libya and its attempts to undermine France’s authority in its former colonies hint that the country is ready to contest France’s leadership in shaping the EU’s foreign policy in Africa. Italy and France have repeatedly accused each other of violating their commitments with regard to taking in refugees. Prior to the EU Summit in June 2018, when Italy refused to take in the Aquarius ship carrying refugees, Emmanuel Macron accused Rome of “cynicism and irresponsibility.” Italy, in turn, accused the French authorities of systemically refusing to take in migrants who had arrived in Italy but were supposed to be transported to France under the appropriate quota. 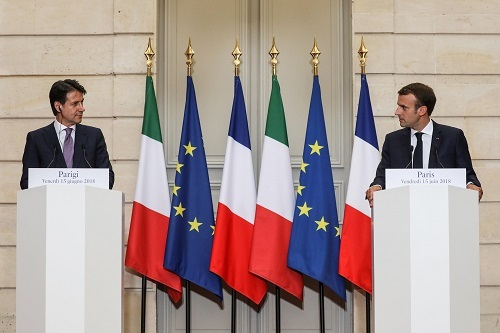 In March 2018, the Italy–France relations were aggravated by the conflict surrounding the actions of French police in Bardonecchia in Italy. The French ambassador was summoned to the Ministry of Foreign Affairs of Italy, with the Italian leaders accusing the French authorities of breaching the state sovereignty of the Italian Republic. The Italian side was greatly disappointed by the absence of specific steps in implementing the agreements on regulating migration achieved at the EU Summit in June 2018 and is highly sceptical about the EU’s abilities to collectively handle migration challenges. And Italy is actively working in the area alone, having passed a much talked-about “law on security” in which it independently defined the conditions to be provided to migrants requesting refugee status and the rules for granting it. Luigi Di Maio and Matteo Salvini’s public support for the “yellow vests” movement in France in December 2018 – January 2019 should also be mentioned as an irritating factor in the bilateral relations. This time, it was France that saw the public statements of the Italian side as a breach of its national sovereignty and interference in its domestic affairs, arguing that cabinet members should not be making such statements. The underlying cause of the conflict between Italy and France is not Africa, nor is it migrants or the lack of diplomatic courtesy. Rather, it is their diametrically opposed visions of the EU’s future and their countries’ situation within the EU. France openly talks about forming a leading tandem with Germany in order to save and bolster European integration, while Rome has a highly negative perception both of this course and of Paris and Berlin’s “leadership” ambitions (Rome views them as a desire to “impose” their vision of the Union’s future development). Such a “united Europe” setup leaves no room for Italy, which has declared its desire to become a more active player on the international scene. However, if Emmanuel Macron only sees a “sovereign Europe,” and the concept of souverainism (that is, protecting the priority of national sovereignty over supranational sovereignty) is for him the same thing as “populism,” “isolationism” and “nationalism” and has solely negative connotations, the Italian leaders see “national sovereignty” is the key pillar of their political support and the principal element of their political program. Paris must certainly have noted that support for the new “saviour of the united Europe” in France itself is at its lowest point ever, while the approval rating of Matteo Salvini, a populist and a proponent of “national sovereignty,” continues to grow. 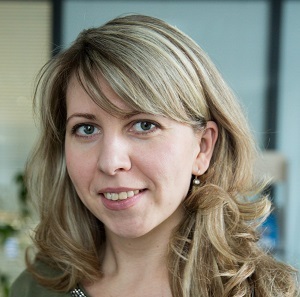 PhD in Political Science, RIAC Program Manager, Research Fellow at Centre for Global Problems Studies, MGIMO-University.